Regardless of where you live, you need to be listening to Hannah & Maggie. A lot of their music was written while they were still in college, and the themes reflect this — there are a lot of mentions of fall and spring, and I think they’re talking semesters — but it’s also gorgeous, simple, transporting in the way that the best folk music can be. When I put Hannah & Maggie on in the car, my life becomes an interlude in an indie movie, that moment when the hero goes both inside and outside herself simultaneously, achieving perspective, understanding, and faith that everything will turn out, if not perfect, at least okay. Listening to their albums is also a little like going over to grandma’s house: time slows, everything simplifies, and you know that the world is right, and good, and that there is love in it. 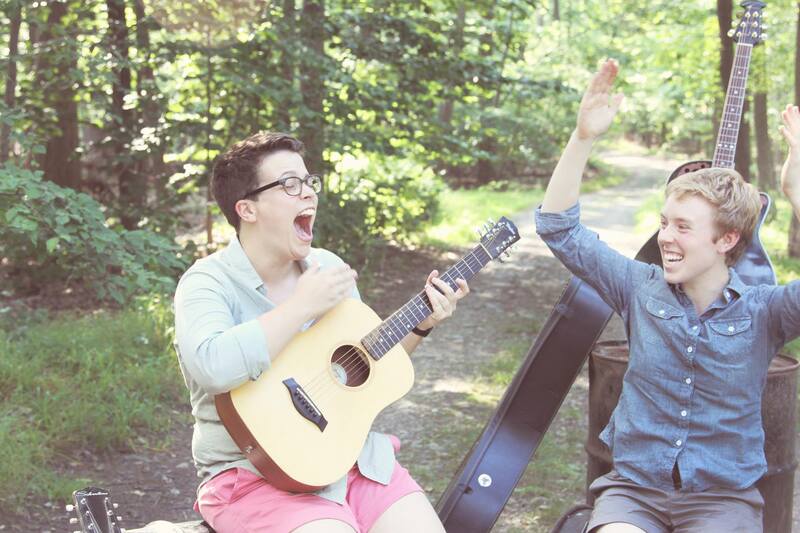 They’ve currently got three albums for sale, and they’ve entered in NPR’s Tiny Desk Concert Contest — check out their music, then help them win! And hey, if you’re on the East Coast, do me a favor? Go to their concerts? Do it for us poor, tan Cali ladies who might never get to see them live. I am saying a huge HUGE thank you for this post. I am now head over heels for Hannah and Maggie. I was reading a sort of disappointing book at the time and listening to them actually made it better! A thousand times, thank you. Best find ever!